CUBAO is one of the oldest shopping destination in Manila. 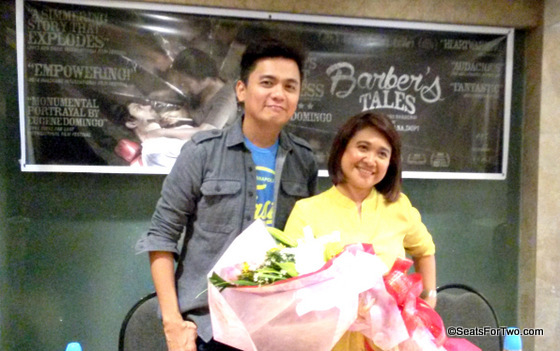 Ali Mall, Isetann, the Marikina Shoe Expo, SM Cubao, Farmers Mall and Market are just some of the favorite-to-go places. What a delight to see major changes in the area. BPO and condominium rising, shopping centers modern and chic plus the opening of the biggest hotel in Cubao, Novotel Manila. AccorHotels opened its first business hotel in the country at the heart of Araneta Center Cubao. It boasts 24-storeys featuring 400 contemporary rooms. 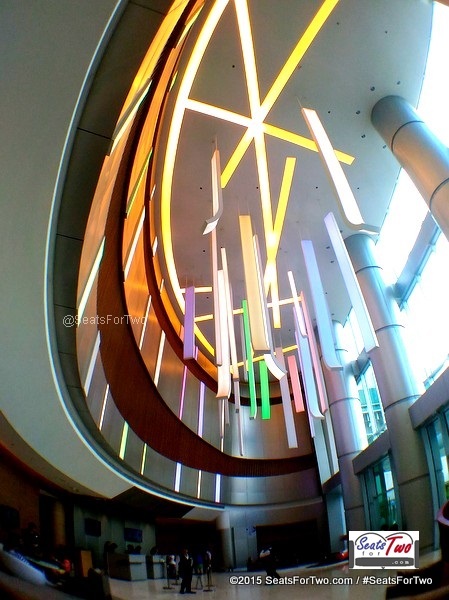 A fantastic dining experience at their colorful and spacious buffet restaurant called Food Exchange and Gourmet Bar. At the 5th floor are the swimming pool for adult and kids. 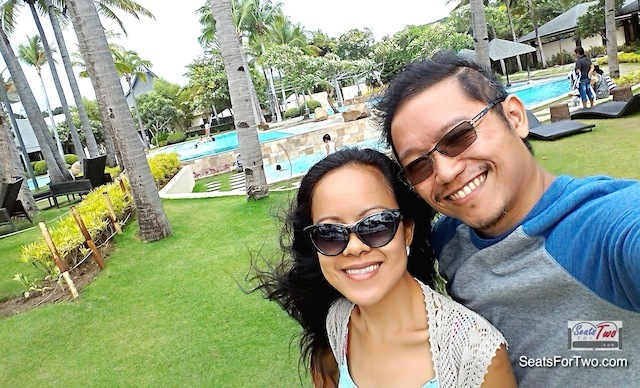 The soon to open Bridal Garden are just some of the amenities at Novotel Manila. 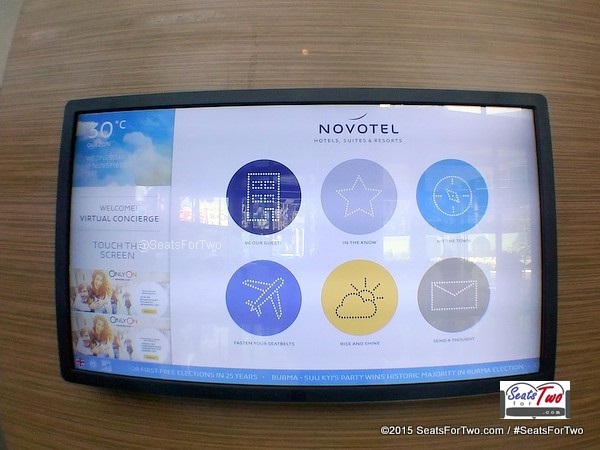 Novotel Manila Virtual Concierge where guests can check on flight schedules, weather forecasts, mode of transportation among others. 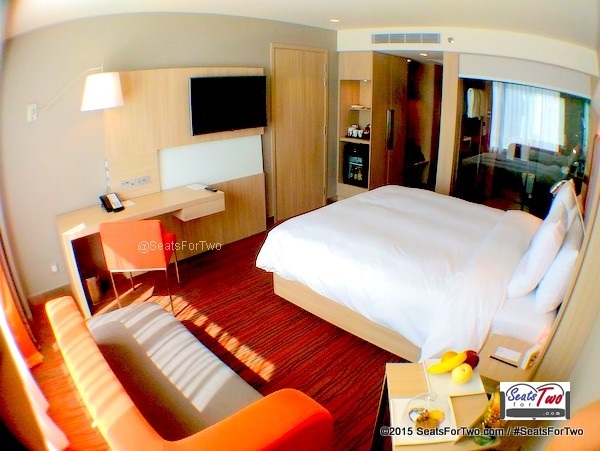 SeatsForTwo was invited to experience Novotel Manila recently. We stayed in one of the superior room located at the 15th floor. Our room has 40 inches LCD television with cable channel, complete tea and coffee making facility, mini bar, clean and soft towels and bathrobes for two, hot and cold water. 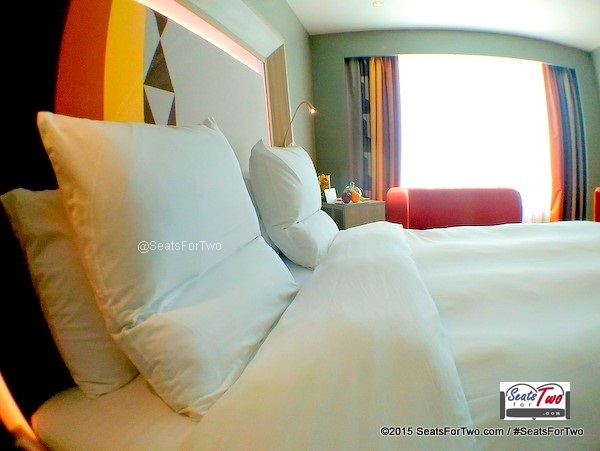 Novotel boast about their soft and fluffy pillows especially created for all AccorHotels. The Ibis pillows and mattresses provide comfort during respite. The size of the bed could accommodate even foreign visitors. The colorful and modern-design bed frame deserves a mention. It even matches the window curtain and couch. We like how well-lighted the room, there’s no need to open the lighting fixtures during day time. 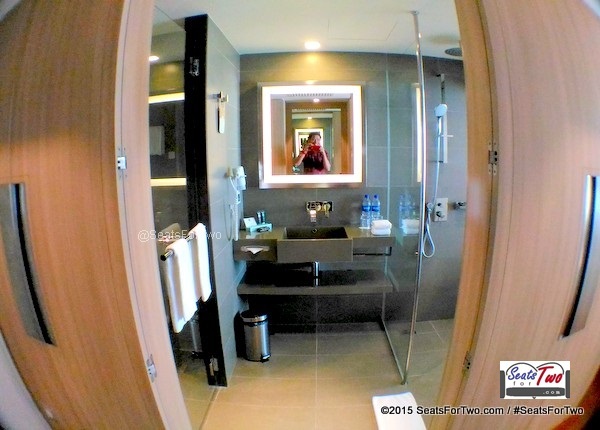 Every room has separate toilet and bath equipped with hot and cold rain shower. 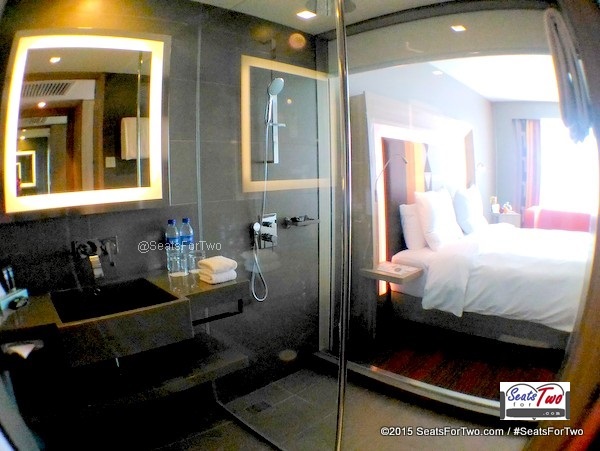 The bathroom is see-through but it has electronic curtain for privacy. 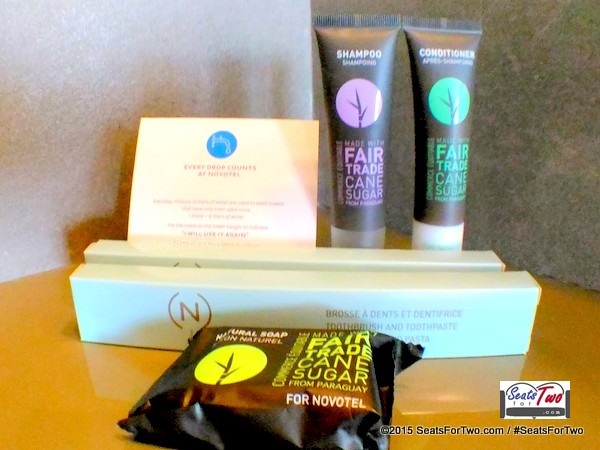 Natural soaps and shampoos are specially made for Novotel and these are imported from Paraguay. 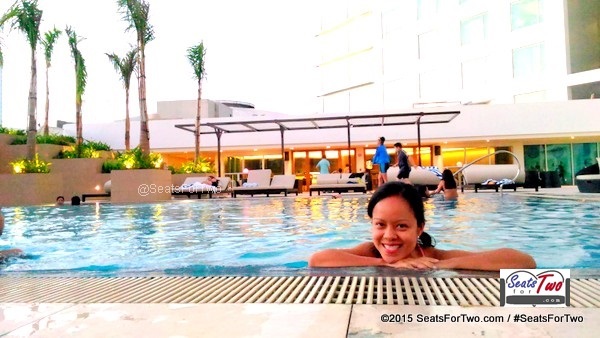 There’s so much you can do when staying at Novotel Manila. 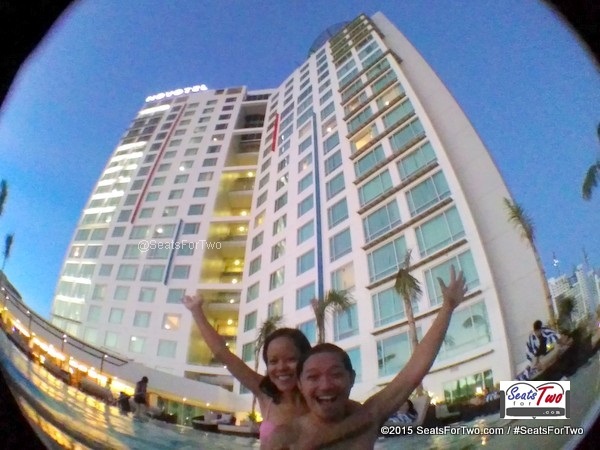 We enjoyed day and night swimming at the adult pool located at the 5th level. The hotel gym will also open soon, they offer a temporary fitness center for your daily exercise routine though. Shopping malls are just a few minutes walk from the hotel. If you’re looking for wide-array of good food, dine at the hotel’s buffet restaurant, Food Exchange. 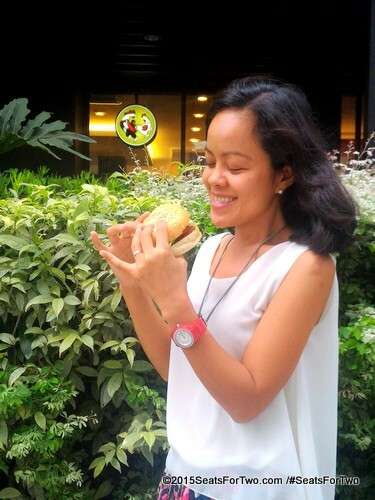 They serve Filipino, Asian, French and Chinese cuisine. Or perhaps enjoy light snack at Novotel’s Gourmet Bar. 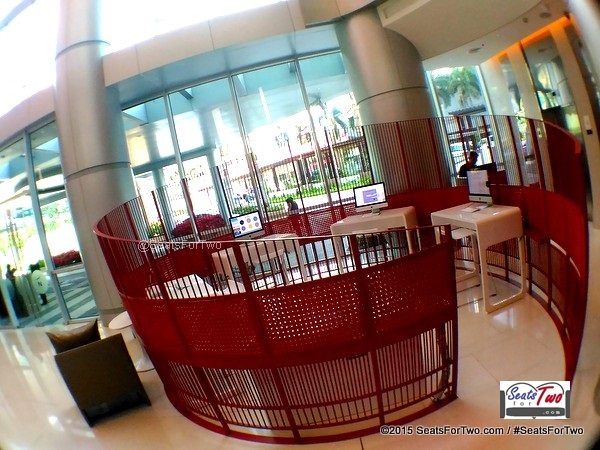 Novotel Manila is accessible to MRT/LRT stations, city buses and provincial bus terminals. Without traffic, it’s just about 15-20 minutes ride to Manila’s business capital, Makati. 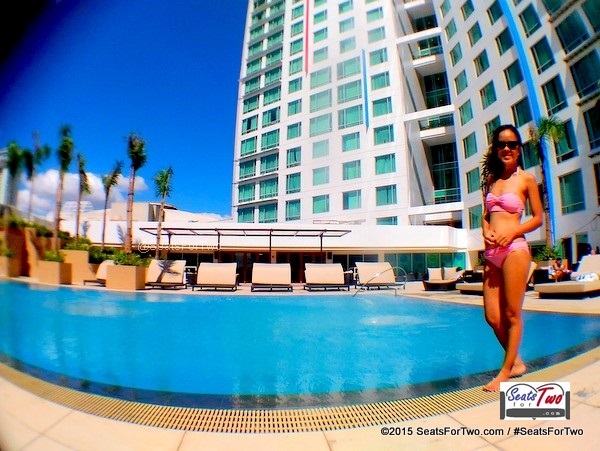 Overall, it was a great holiday staycation at Novotel Manila. Here’s the good news for you! Novotel Manila Araneta Center is offering an attractive introductory package starting from only Php 4,000 to celebrate its soft-opening. The offer includes a Superior room night stay with breakfast for two at the Food Exchange and is valid from now till December 2015! 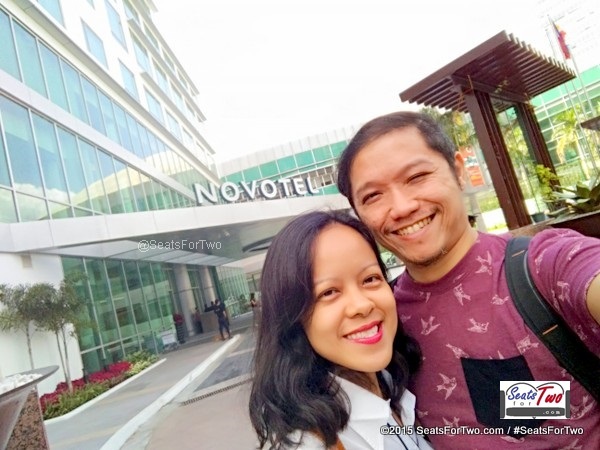 Next on SeatsForTwo, our buffet breakfast experience at Novotel Manila Food Exchange.